Shakedown Hawaii, the spiritual successor to Retro City Rampage, will arrive on Nintendo Switch this April as a timed exclusive. Previously, the game was confirmed to be in development for PS4, PSV, and Windows PC. Retro City Rampage first released on PC in late 2012. Since then it has been ported to several platforms, including PS3, PSV, Xbox 360, Wii, 3DS, and iOS. Shakedown Hawaii takes place 30 years after the events in Retro City, and features similar run-and-gun gameplay in an open world. 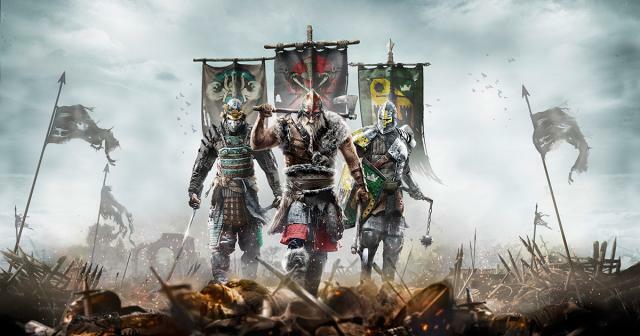 For Honor has spent a second week at the top of the UK charts, according to Chart-Track for the week ending February 25. Sales for the game dropped 72 percent. RTS Halo Wars 2 debuts in second. That is the same as the original Halo Wars. Grand Theft Auto V and FIFA 17 remain in third and fourth, respectively. Warner Bros. has announced Middle-earth: Shadow of War for the PlayStation 4, PlayStation 4 Pro, Xbox One, Project Scorpio, and Windows PC via Steam and Windows 10. The game is a Play Anywhere title for Xbox One and Windows 10. Middle-earth: Shadow of War is a sequel to Middle-earth: Shadow of Mordor. It launches in North America on August 22 and August 25 in Europe. Sony announced all of the games that will be releasing this week on the PlayStation 4, PlayStation 3, PlayStation Vita, and PlayStation VR in the US. 14 games in total will release this week. In an interview with The NY Times, Sony's Andrew House has confirmed that the company's virtual reality headset - PlayStation VR - has sold 915,000 units to consumers, as of February 19th, 2017. 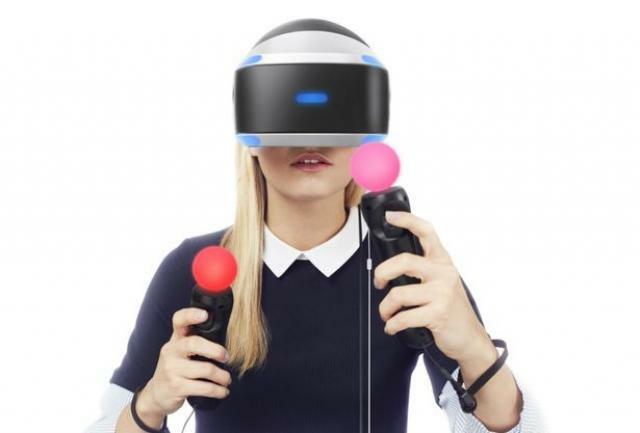 Following the release of PlayStation VR in October last year, Sony's goal was to sell one million units by April; a milestone that it should easily surpass given these figures. What a long, strange trip it's been for Ys Origin. Released originally in 2006 on Microsoft Window, Ys Origin was for a long time exclusive to Japan. Six years later, an English localization came west, via Steam. Now in 2017 it's arrived on PS4 and, in short order, PS Vita. Despite its age and its PC beginnings, Ys Origin plays remarkably well on PS4. French publisher DotEmu, which ported Final Fantasy VII to PS4, did a fine job configuring the title for home console consumption while leaving the base game alone and allowing it to speak for itself. Set 700 years before the events of the first Ys game, Origins is a prequel that tells the story of the enchanted kingdom of Ys, and the encroachment of demons upon the land. Pestered by evil forces and forced to retreat to a holy temple, the people of Ys call upon their twin goddesses, who use magic to lift the temple into the sky for protection. Undeterred, the demons construct a sky-scraping tower to continue the assault. When the goddesses go missing mysteriously, a search party of knights and mages is dispatched to the surface. Ys Origin allows players to choose from two playable characters at the beginning of the game (a third is unlocked later): the mage Hugo Fact and the knight-in-training Yunica Tovah. Each has his or her own weapons, fighting style, and storyline, although each also has the same mission: climb the tower and discover the whereabouts of the missing goddesses. These characters are not mere archetypes though. Throughout the game, Hugo and Yunica mature and grow as people, and discover their place in the world of Ys. Surrounding them are several supporting characters, both friend and foe, who display surprising depth and complexity. All of this comes through powerfully thanks to a superb English localization. When Hugo and Yunica aren't growing as people, they're slicing, dicing, and shooting a wide range of demonic enemies. Combat in Ys Origin is simple and fast. This is a true hack 'n' slash that demands nimbleness and well-timed attacks. There are a few complicated moves, like an uppercut and a downward smash, but in general players will be spamming spells and swinging swords wildly to stay alive, especially in the tower's upper levels. 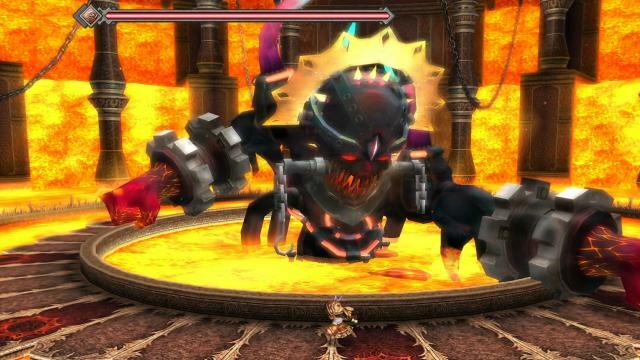 A deeper level of strategy is mandatory for the game's many boss encounters, which are a highlight of Ys Origin. 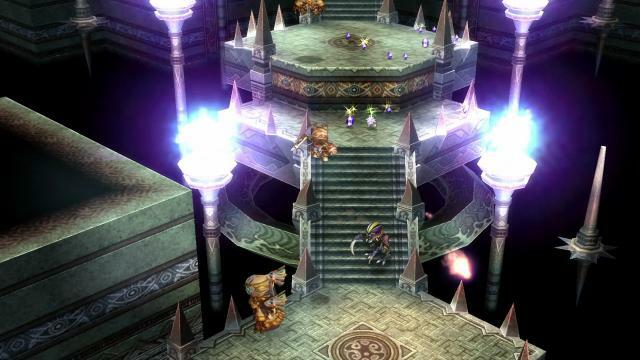 During the game, Hugo and Yunica will face demons, mechanical monstrosities, giant insects, and, at several points, powerful humans. 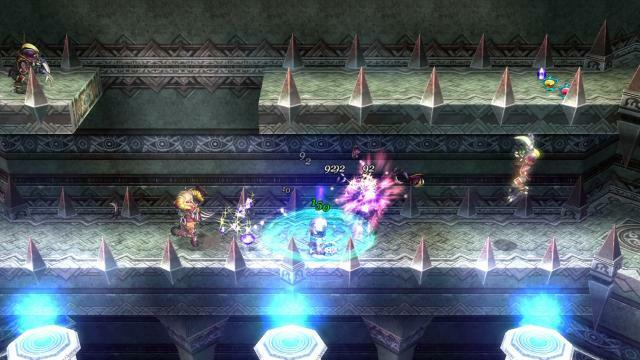 Memorizing patterns and finding small windows to attack are essential to taking down these bosses, which appear at regular intervals up the tower. The tower itself is a feat of artistic design. 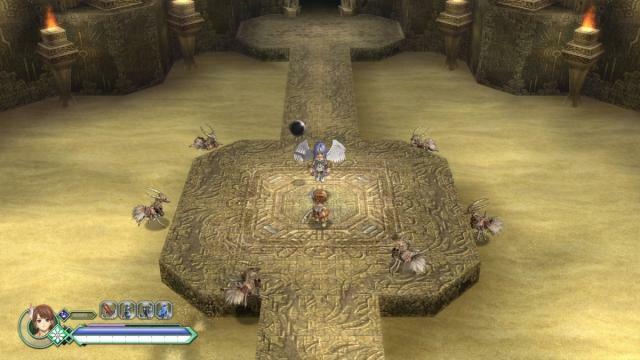 As the heroes of Ys climb higher they'll find strange and beautiful sights and sounds. Some areas of the tower are industrial in nature, others bubbling and festering with organic material. Some floors are scorched by fire, others submerged in water. There are plenty of environmental hazards and corresponding enemy types to keep players busy and on their toes. The problem with the tower is that it doesn't provide much room to explore. It's essentially a straight shot from the ground floor to the summit, with only a few detours along the way. There are a few treasure chests hidden off the beaten path, but in general there aren't many opportunities to stray from the pre-determined track. In terms of adjusting Ys Origin for a DualShock 4 controller and a television, DotEmu has done great work. Movement is easy and intuitive with the analog stick and every command feels responsive. The game's animated sprites are colorful and well-defined, even on a larger TV screen. In fact, for a game now 11 years old, Ys Origin looks gorgeous on PS4, with only some blocky models betraying its age. The only technical hiccup occurs during the game's opening scene, when the edges of the screen render out of time with the main action. Apart from that small blemish, Ys Origin is a terrific console port of a solid hack 'n' slash action RPG. The action is fast and furious, the boss battles extraordinary, and the story and characters engaging and enriching. The biggest drawback is a serious case of wanderlust, as the tower's narrow confines prevent any meaningful exploration. Even so, Ys Origin is an easy recommendation for fans of actions RPGs and dungeon crawlers, or for PS4 owners who want to dive into the Ys series. 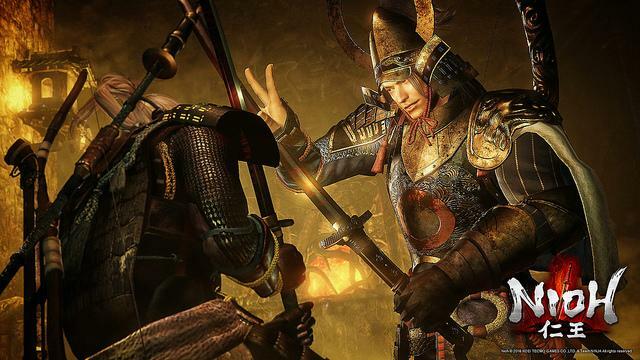 Koei Tecmo and Team Ninja have announced that Nioh has shifted one million units in just two weeks. The figure includes both digital downloads and retail shipments of the game. To celebrate the milestone Team Ninja has released a Golden Nioh Armour, which is available to all players for free. Microsoft has added six games to the long list of Xbox 360 games that are playable on the Xbox One through Backward Compatibility. The game are The King of Fighters 2002: Unlimited Match, Assassin’s Creed: Rogue, Gyromancer, Moon Diver, Space Invaders: Infinity Gene, and Borderlands 2. Other recent games include Hitman: Absolution, Grand Theft Auto IV, Midway Arcade Origins, Mutant Storm Empire, Tekken 6, Dragon Age: Origins, and Battlefield: Bad Company 2.